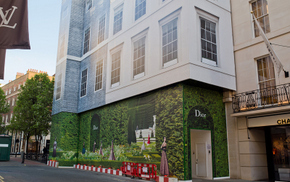 Newton internal and external structural waterproofing installed in the basement area of Christian Dior’s New Bond Street store. Internal and external waterproofing of the extended basement area. Internal and external waterproofing of the extended basement area of Christian Dior’s London store to provide a substantial extension of the existing floor space. Because the basement area will be used as stock rooms, changing rooms, and staff and shop floor areas, it was vital to achieve a completely dry internal space. The property line construction between two existing buildings meant that there was a requirement for waterproofing both new and existing structural elements, including pile caps, underpinning, a new reinforced concrete slab, existing foundations, and also existing vaulted areas at the front of the building which extend below New Bond Street. Because a completely dry internal environment was required, defined as Grade 3 by the BS 8102:2009 Code of Practice for The Protection of Below Ground Structures From Water From The Ground. 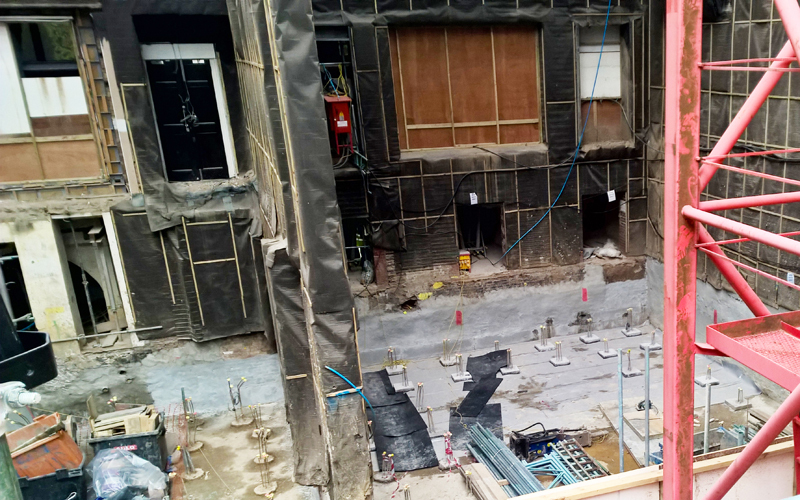 Design specialists G05, in consultation with Newton, chose a combination of Type A and Type C waterproofing systems. Due to the fact that the build was between the flank walls of two existing structures, the Type A system comprised of a combination of the hydrophilic, fully-bonded Newton 403 HydroBond membrane pre-applied below the new concrete slab, and was linked to the cementitious, flexible Newton 107F membrane, which was applied to the internal faces of the walls and the prepared internal areas of the vaults. 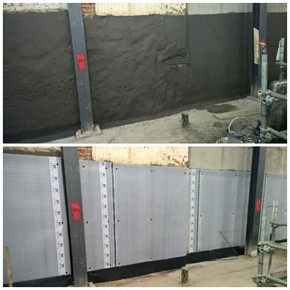 Following the application of the Type A system, a Newton System 500 Cavity Drain membrane system (Type C) was applied to the internal wall and floor areas by Newton Specialist Basement Contractor Advanced Preservations Ltd, who also guaranteed the work. The system included perimeter drainage using Newton Basedrain, and two Newton Titan-Pro pumping systems. The under-pavement vaults were lined internally with the Newton 500 system. Not only was continuity achieved with the waterproofing systems across numerous below-ground building mediums and scenarios, but the waterproofing system also conformed to the recommendations of BS 8102:2009 for combined waterproofing protection, where even the slightest form of water ingress is unacceptable. The internal areas were also successful in achieving an environmental Grade 3 with regard to their degree of water tightness, meaning that they will be suitably fit for purpose and use by both Christian Dior’s staff and customers. Link to download full CASE STUDY with product details. For any further information about Newton Waterproofing Systems, or for a list of Newton Specialist Basement Contractors in your area, call 01732 360 095 or visit the website.